Polish and Charms: It's Friday! Quick post for your Friday! I wanted something bright and sparkly and this is what I came up with. 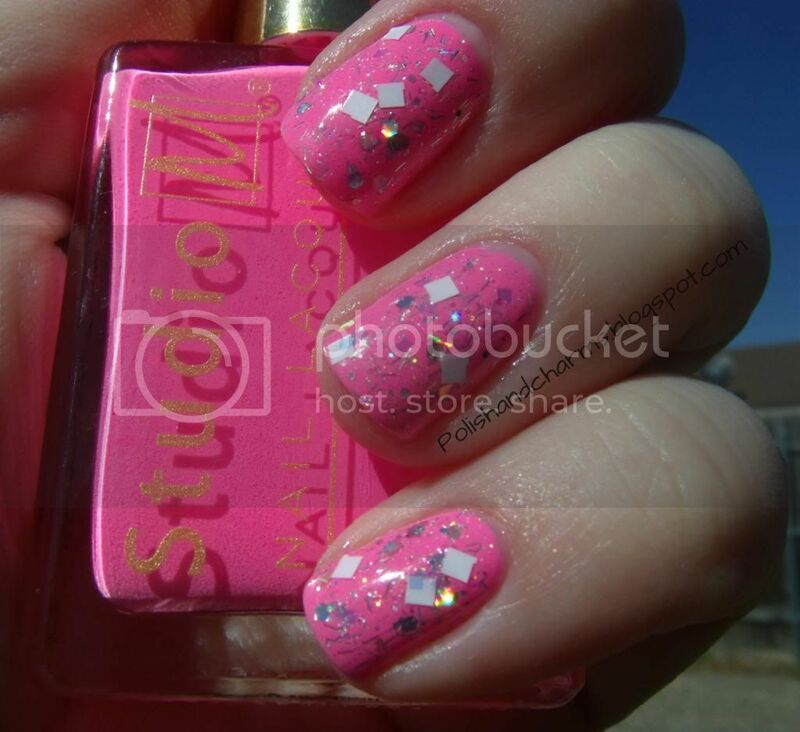 I started with Studio M Power Pink (thank you KarenD!) and then added a layer of OPI Which is Witch and Lights of Emerald City. Enjoy! I really like the last polish! 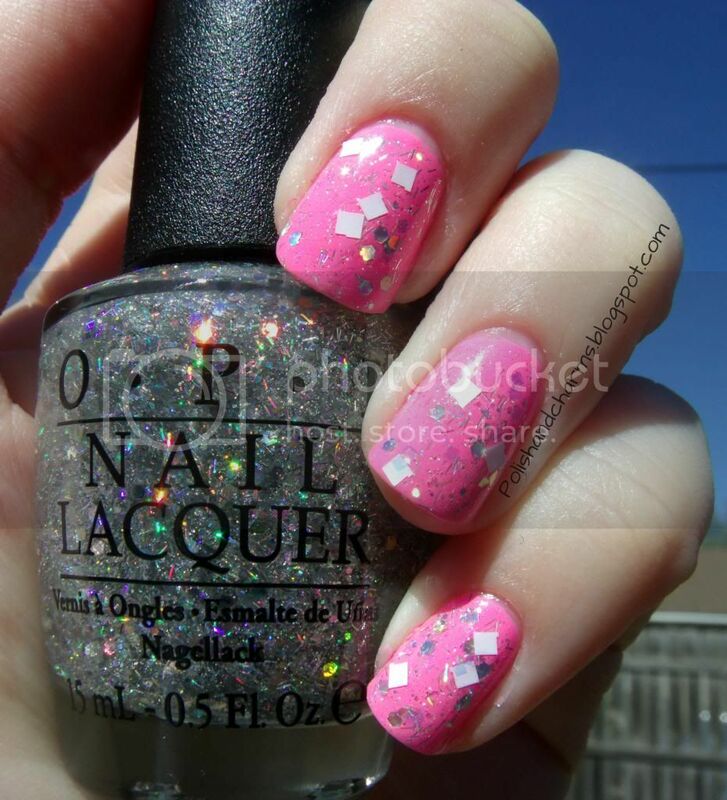 This is super pretty, sparkly & girly! Love it! So glad you already found a use for one of the Studio Ms. :) I hadn't thought to use those two OPI glitters together--I might have to try that. These are so gorgeous together! I really love the white, square bits! i love that you combined them!! The square glitter is so pretty. I don't have any glitter like that. Looks amazing. great pink and great way to end the week!